Holy Temple Appears on Temple Mount - See For Yourself on Google Maps! [PHOTOS] - Breaking Israel News | Latest News. Biblical Perspective. According to Google Maps, the Holy Temple has popped up in an entirely unexpected place: the Temple Mount. Thanks to the efforts of a young Israeli, touring Solomon’s Temple is now as easy as typing “Temple Mount” into the Google Maps website. Anyone interested should take advantage of the opportunity today, since the virtual tour has only recently returned from being banned by Google and may be removed again in the near future. Many Jews are reluctant to visit the Temple Mount, concerned about straying into areas that are forbidden by Jewish law. Elyasaf Libi, a resident of Mount Bracha in Samaria, set out to solve that issue by educating Jews on how to navigate the Temple Mount. 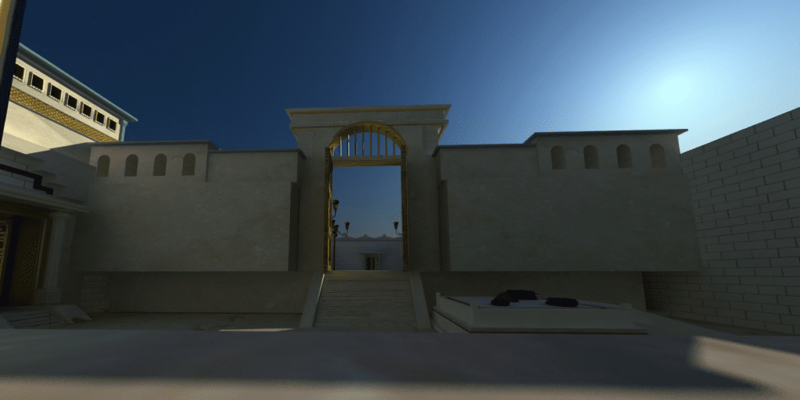 Towards that end, he created a 3D virtual tour of the Temple and uploaded it to Google Maps. For good measure, he made two versions: the First and the Second Temple. 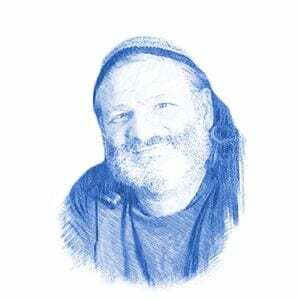 Libi hired Yehudah Vinograd, a computer programmer who specializes in 3D and computer games, to create the tour. 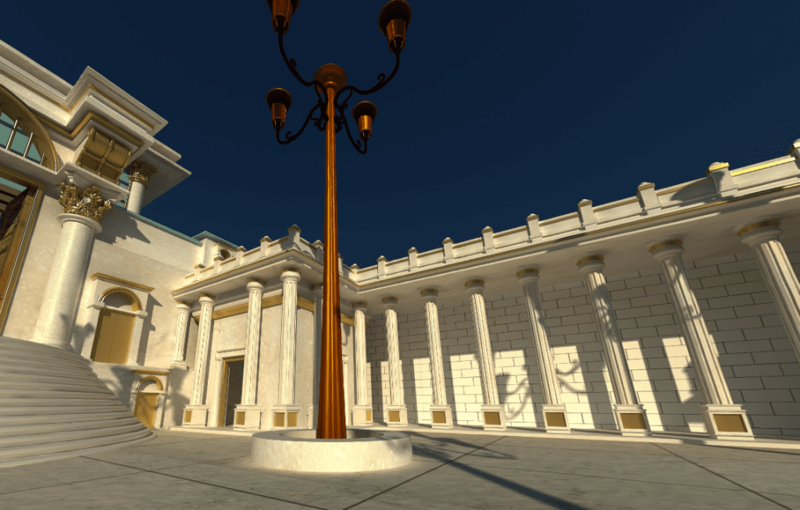 The virtual recreation of the Temple was a relatively easy project for Vinograd, who has produced 3D presentations of archaeological and historical sites, as well as video games and commercial presentations. “Due to the wealth of information and the depth of study already done, it was actually easier to produce than a theoretical project which has never actually been built,” Vinograd told Breaking Israel News. The project is still a work in progress, but Libi wanted to make it available to the public even in its incomplete state. Libi believes his virtual tour is an essential part of that. 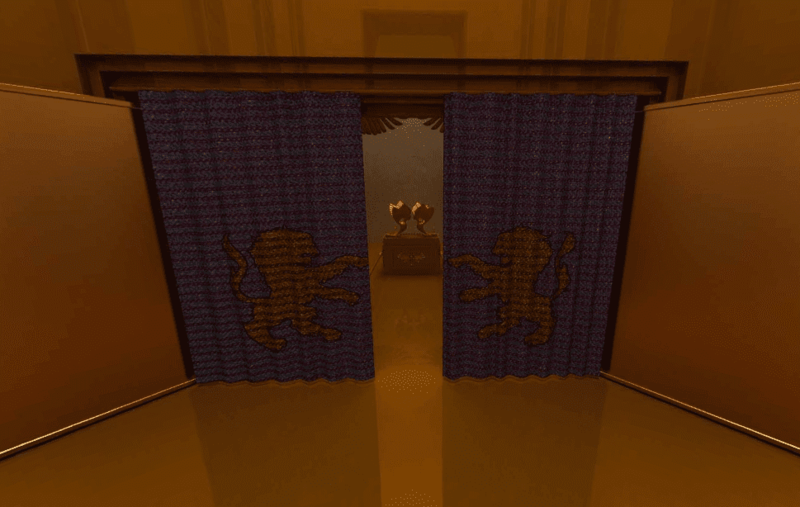 Libi chose to use Google Maps, one of the world’s most popular apps, as a platform for his virtual tour of the Temple. A Google Maps feature allows users to upload photos to locations. Libi posted his virtual tours on the app as photos, making them available to the public for free. Libi’s choice of platforms for his virtual tour was not without shortcomings. In Israel, maps are a politically loaded subject and Google Maps has more than once been the battleground for political controversy concerning the Middle East. The links to the virtual tour were removed for several months and only recently replaced. A programmer for Google explained this decision to Breaking Israel News. Viewers can access the virtual tour of the Temple by opening Google Maps and going to the Temple Mount in Jerusalem. By pressing the yellow figure of a person in the lower right of the screen, user photos are activated, their location marked by a small blue circle. Passing the cursor over the blue circle brings up a thumbnail image of the photo. To find the images that led to the virtual temple tour, a bit of searching is required. Some of the points leading to virtual tours of the Jewish Temple have been removed. The program places the viewer inside the sanctuary. 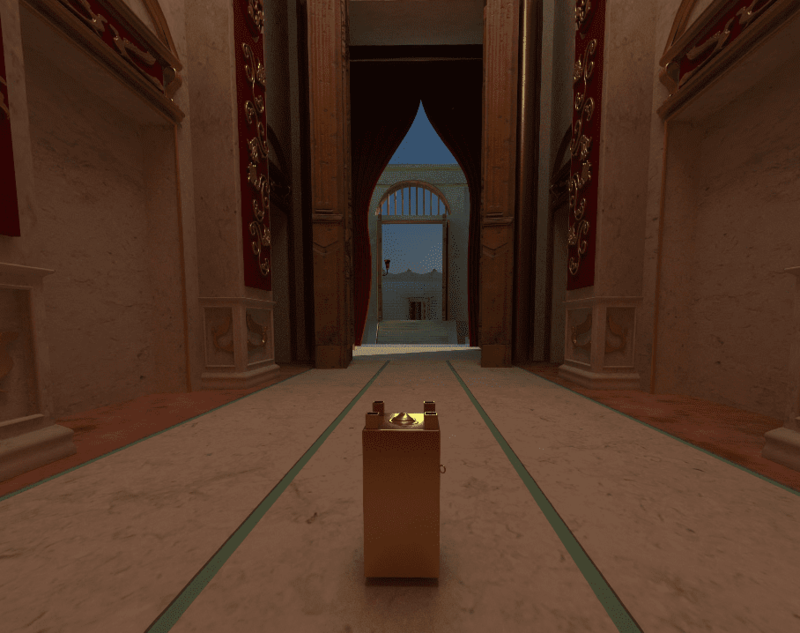 The cursor is used to navigate, allowing the viewer to look in any direction and even move outside, to view the altar and the courtyard. The app allows the viewer to see the image in 360 degrees, as if he were actually at the location. 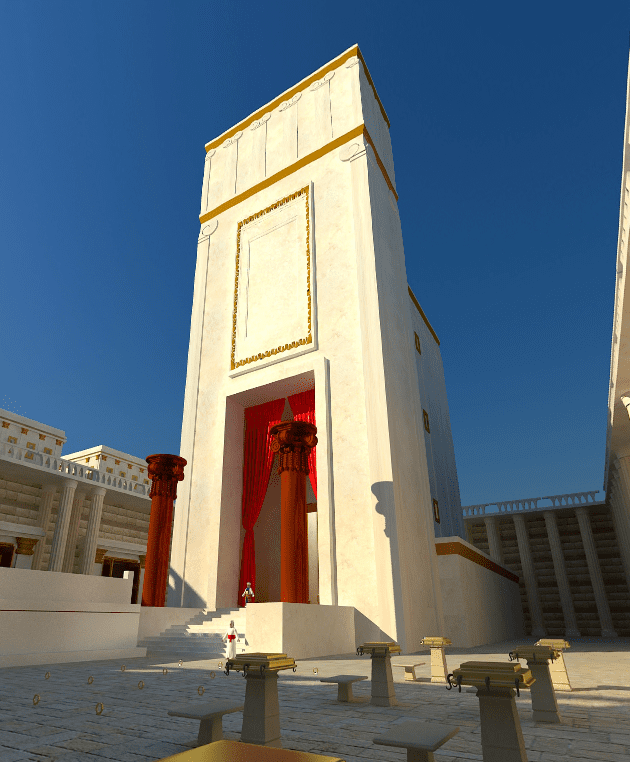 A different rendition of the Temple, posted by the Temple Institute, is accessed in the same manner. 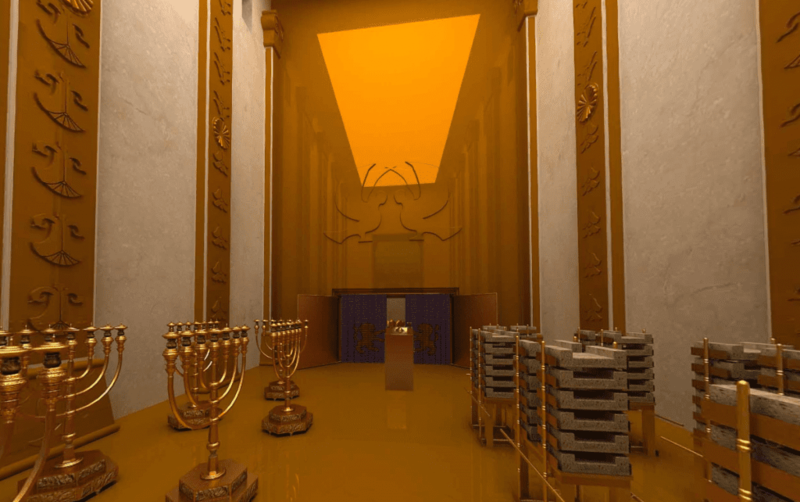 One notable difference is that inside the sanctuary, the Temple Institute’s version has eleven golden menorahs, an equal number of racks for the showbread, in addition to the golden altar for incense. The curtains are pulled aside, and the Ark of the Covenant is visible with the two cherubim. 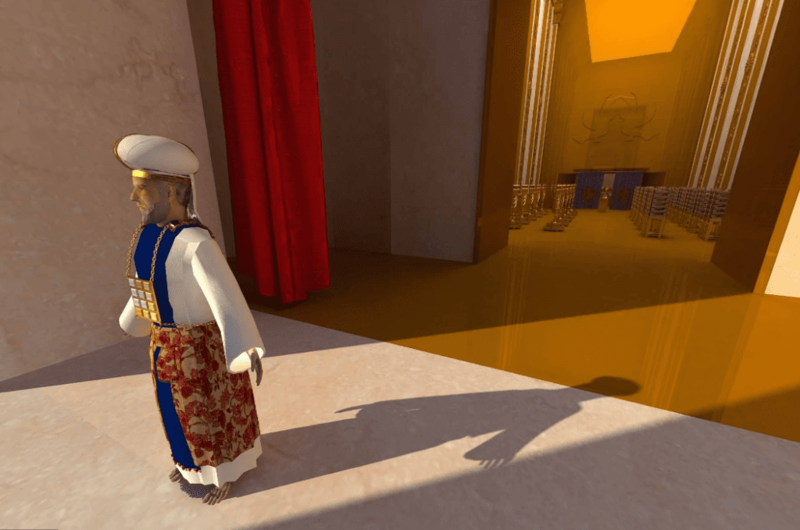 It is interesting to note that the image does not permit the viewer to enter the Holy of Holies, which was restricted to all save the High Priest on Yom Kippur. The same location allows the viewer to navigate outside the sanctuary. A priest in his distinctive garments stands next to the altar, ready to perform the service. Libi’s project is incomplete, and he has several more Temple-related projects underway. Despite his difficulties with Google’s guidelines, Libi is pleased with the reactions.